Avalon Credit helps clients repair their bad credit by disputing the inaccurate, untimely, misleading, biased, incomplete or unverifiable negative items from their credit reports. Additionally, as a Premier level Avalon Credit client you can take advantage of services designed to modify, monitor and protect your credit rating. 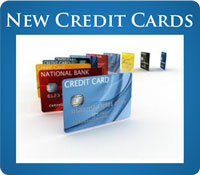 Avalon Credit offers three levels of service. 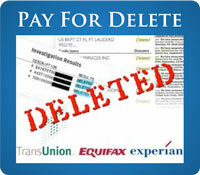 Our Regular Service uses targeted disputes based upon the Fair Credit Reporting Act in an effort to delete the questionable negative information from your credit reports. Our Service levels incorporate additional strategies based on other consumer protection statutes. These statutes include the federal Fair Credit Billing Act which gives you the right to request extensive information regarding billing and account history, the Truth in Lending Act which stipulates conditions for establishing credit accounts, and the Fair Debt Collection Practices Act which defines your rights regarding accounts that have passed into collection status. With each service level, you will use the Online Login to manage the dispute process. Once we�ve received your credit reports, we will analyze them and add the negative items they contain to Login in order of how severely they are affecting your credit rating. You will then be able to select which items are questionable, and how you want us to address them. Once you have selected which items you want us to dispute, Avalon Credit will prepare the appropriate intervention or dispute letters. These letters are designed to communicate your dispute in such a way as to spur the credit bureaus to conduct an investigation. At the conclusion of the credit bureau�s investigation, a new copy of your credit report should be sent to your home along with any deletions or improvements if any were made. If you are not satisfied that the questionable, negative credit has been resolved, send us a copy of the new credit report and the cycle will begin again. Aside from the credit bureau dispute process, the agreement expansions add interventions such as escalated account investigations, goodwill interventions and formal requests for debt validation. These interventions do not necessarily follow the same dispute cycle as the credit bureau disputes and are designed to increase the likelihood of accelerated results. In order for a credit bureau to keep a disputed credit listing on your report, they must have evidence that it is accurate, timely and verifiable. If the credit listing is only somewhat inaccurate, the credit bureau may simply change the item to reflect the accurate status. Very often, though, disputed credit items cannot be verified because the creditor no longer possesses the information or does not wish to go to the trouble of verifying it. In these cases, the listing should be removed. Also, the credit bureau reinvestigation must be completed within 30 days, though the credit bureaus do not always meet this deadline, or the listing must be removed. However, be aware that in these instances, once the bureau finds evidence of the listing, the item may eventually re-appear on your credit report.